CNBC have been publishing their economic climate ranking of all 50 states of the USA for eleven years. Now they issued their new ranking for 2017. Workforce and infrastructure are at the top of the list among 10 major categories and 66 metrics used in crowning the Top State for Business 2017. Key messages this year: (1) The skills gap across the labor market is big and getting bigger. (2) As President Trump talks up a $1 trillion infrastructure plan, states are talking more about the strength of their roads, rails, ports and utilities. 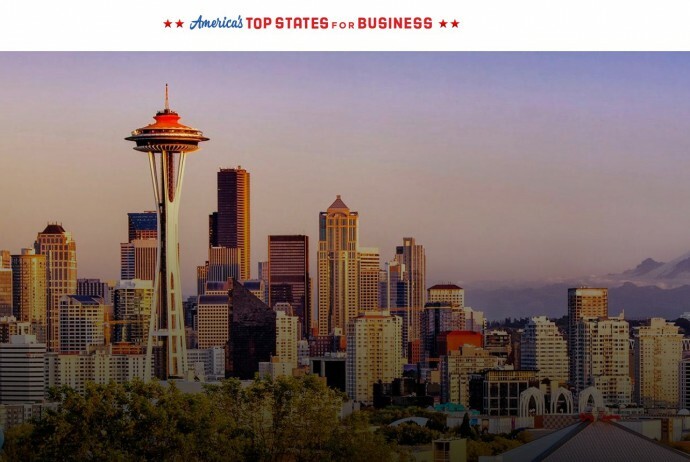 Check out the 2017 data table, sortable for all criteria, a chart and maps at CNBC Top States for Business. Interesting enough: only one of their top eight business climate states is also a top eight GDP state, and thus listed among our G8x8. Try to find out which one it is!